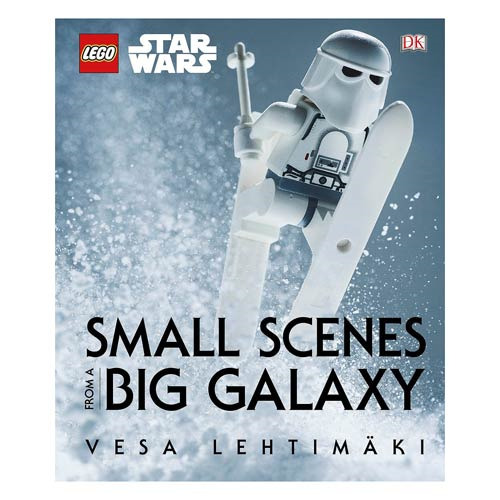 LEGO Star Wars sets and mini-figures come to life in the LEGO Star Wars Small Scenes from a Big Galaxy Hardcover Book. The LEGO Star Wars Small Scenes From a Big Galaxy Hardcover Book is full of beautiful photography of classic LEGO Star Wars mini-figures. The book recreates movie moments from Star Wars and also takes readers through whimsical takes on favorite characters and themes from the saga. The 176 page book measures 12 1/5-inches tall x 10 3/10-inches wide.